As more and more people are using their smartphones to access the internet, Google is continuously striving to create a Mobile-First environment, introducing changes to enhance the user’s mobile experience. 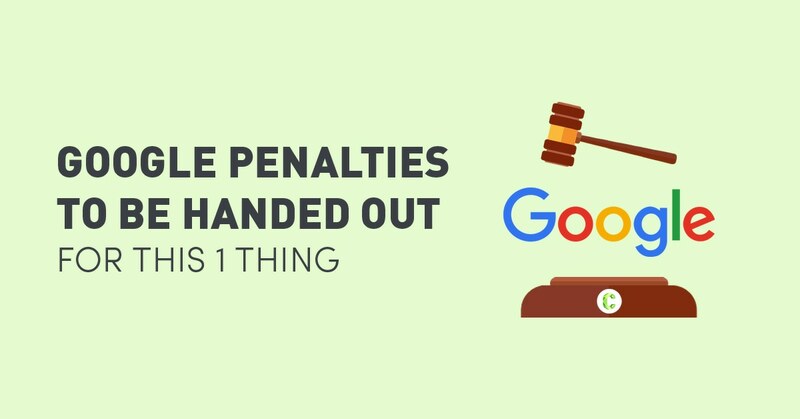 If websites fail to comply with these changes, it could result in some serious Google Penalties. 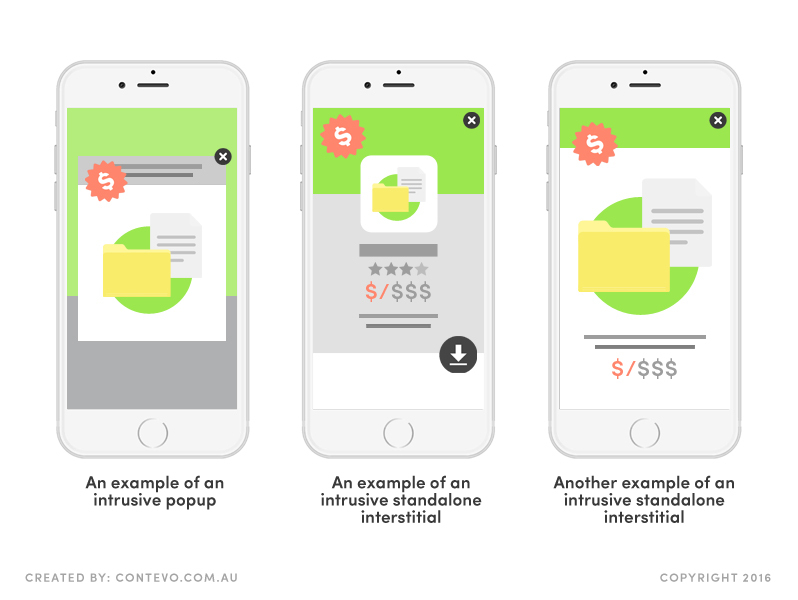 So if your website is heavy on interstitials, you have been warned: Effective January 10, 2017, Google will be penalising websites with “intrusive” advertisements by lowering their search rankings. 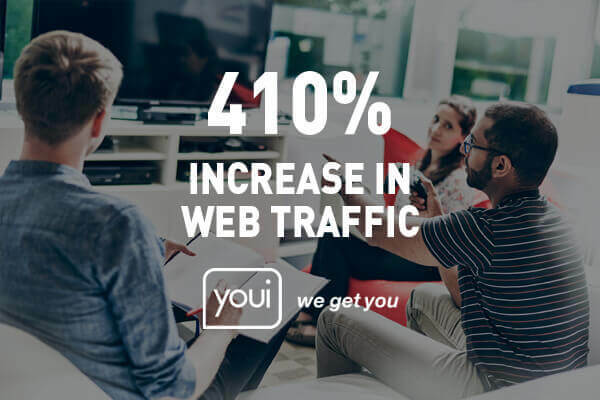 While rankings depend on a multitude of factors such as Google’s algorithm, this new policy is something to seriously consider. 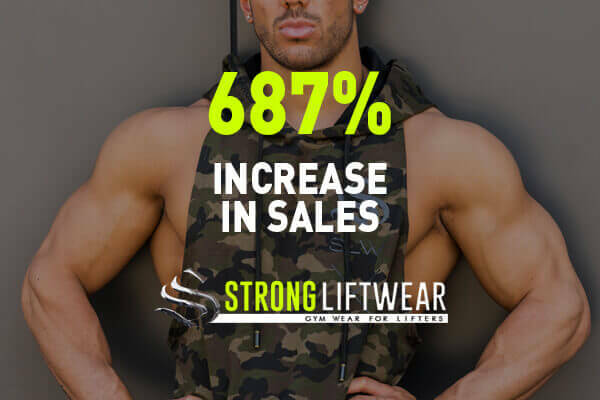 Interstitials that cover the main content immediately after a user navigates to a specific landing page from the search results, or while the user is browsing through the page. Interstitials using a layout where the above-the-fold portion of the page looks like a standalone interstitial, but the original content has been inlined underneath the fold. What interstitials are still okay? 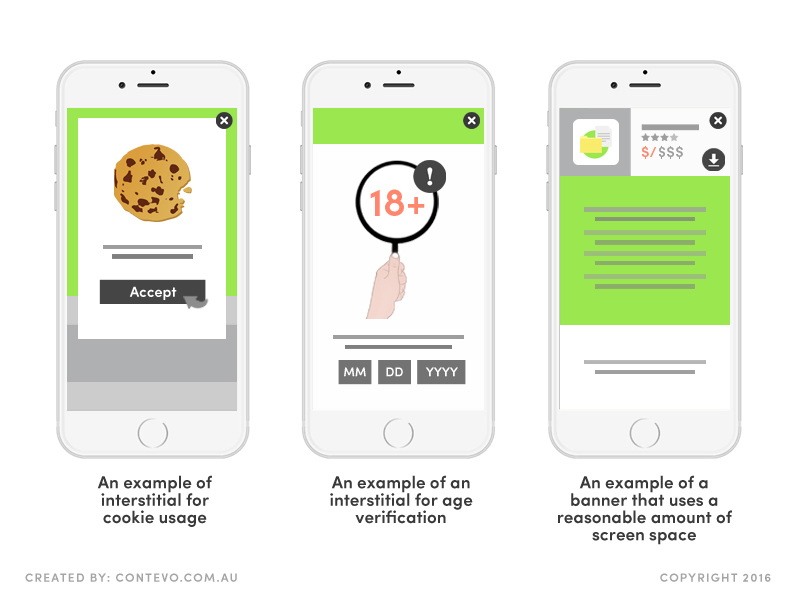 Interstitials needed to meet a legal requirement, such as those for cookie usage or for age verification. Log-in dialogues on sites where content is not publicly indexable, such as emails or content behind a paywall. Smaller banners at the top of the screen that use a “reasonable amount of screen space” and can be easily closed. 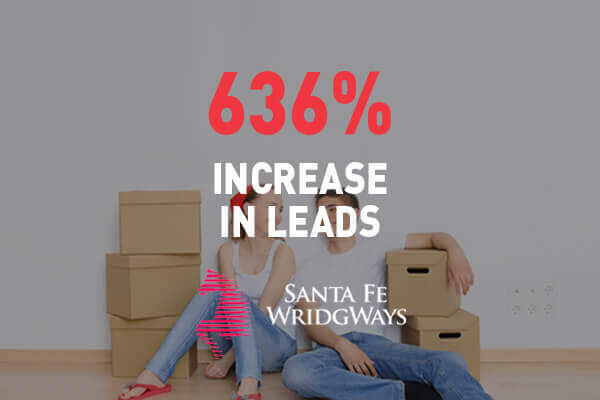 Will advertisers soon have to choose between a higher search ranking or the more lucrative interstitials? Not necessarily, says Google. Content – and context – still rule, after all. 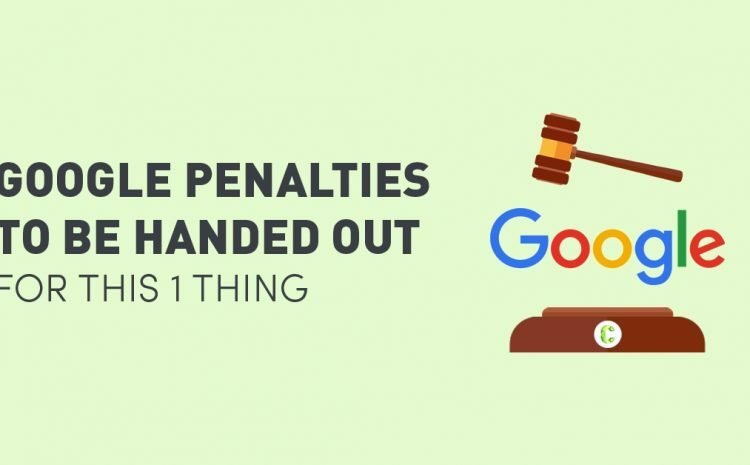 Contevo can help you avoid Google Penalties, track the progress and performance of your website, and optimise your SEO mobile strategy.